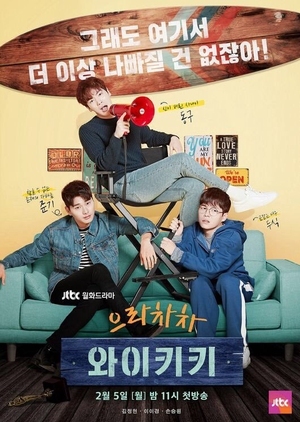 Kang Dong Goo (Kim Jung Hyun) dreams of becoming a movie director, but he is cynical due to bad luck. Meanwhile, Chun Joon Ki (Lee Yi Kyung) wanted to follow in his father’s footsteps and become an actor, but he is now just a minor actor. Bong Doo Sik (Son Seung Won) came to Seoul to become a scenario writer, but things have not been easy for him.